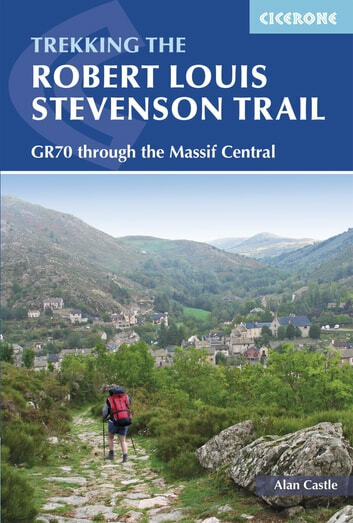 A guidebook for walking in the footsteps of Robert Louis Stevenson as he travelled through France's Velay and Cevennes regions, from Le Puy to St Jean de Gard, accompanied by his faithful donkey, Modestine. At 140km, this route is ideal for people new to walking holidays. Early one morning in the autumn of 1878 Stevenson set out from the sleepy village of Le Monastier-sur-Gazeille to traverse the Velay and Cévennes and his account of his trek has long captured the imagination of walkers and lovers of literature alike. Today, the RLS Trail has become a classic route across the hills and along the valleys of this delightful region of rural France. The route, which is well served by accommodation of all types, is divided into 12 day-stages in the guide, so that the Trail easily fits into a fortnight's holiday. 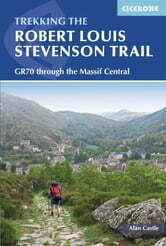 The book includes details of the facilities for the traveller and places of interest en route, together with a detailed route description and an account of Stevenson's adventures with Modestine. For those with more time available, trails that link the beginning and end of the route are also described, making it possible to walk all the way from the historic town of Le Puy to Alés. Packed with snippets of fascinating information about this historic region, the guide is also of use to cyclists and motorists keen to trace a parallel road route, following in the footsteps of Stevenson and Modestine.